“Could you tell us how long you were managing the clients and from which advertising channel they arrived? I was managing English clients from the middle of June; they arrived from Casa.it advertising channel. The request came from the central office because I work in the International Department, on English and Dutch market in particular. “What were the clients’ requests? Their requests were not impossible; in fact they were looking for a property with three bedrooms, two bathrooms and an area to be used as an office where they will be able to accommodate their potential clients, outside with a beautiful view over olive groves and space for a swimming pool. A single “extraordinary” request was an unusual plot of land that should not be flat and “monotonous”. “Did the clients have a certain idea about what they wanted? Was it a difficult choice? Did the clients have many previews? They had a very clear idea because they were choosing a house for a main residence, for personal and professional purpose where they would have an opportunity to welcome their clients in exclusive setting with a wonderful view. 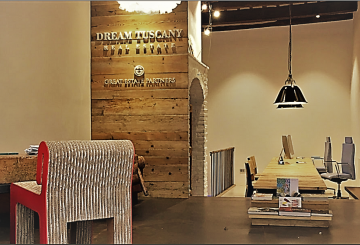 At the beginning the clients also demonstrated a good knowledge of real estate market as they have done a lot of research in several agencies both in Tuscany and Umbria; but they were not satisfied. As soon as we took over, in a short period of time we screened the best variants with the requested features, providing timely and better solutions for their demand. Among our five offers they chose two and it was enough to visit them and to make a final decision. 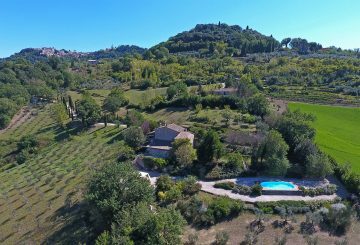 Initially they were oriented on Tuscany, but after visiting the potential property in Umbria, they gladly agreed to buy a house in Magione, the province of Perugia. The property was sold completely renovated but there were some interventions like elevation of additional level (for which ex-owner has previously made a down payment) and construction of the swimming pool. Probably for this work they will ask our numerous partners that have already done a lot of excellent renovations, both internal and external. “What was the collaboration with Giacomo Migni and Sabrina Bordini who managed the sellers? I found them great. They have proved that they are professionals and showed a good knowledge of the territory where they work (area of Trasimeno, Paciano Pieve); it was a real pleasure to deal with them again doing this real estate transaction. 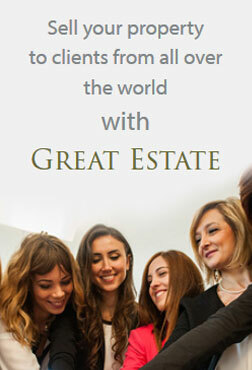 “The Great Estate Group does a lot for international clients. On your opinion, what are the reasons of this visibility and presence? Are they satisfied with collaboration? For me, a new-comer in this industry, it was a great experience on the international market working with experienced and pleasant colleagues that support each other. In the past, I worked in a small real estate business as a translator and I immediately felt the difference with an agency of such rate as Great Estate due to their recourses and available tools that can guarantee a wide visibility both on the national and international market. 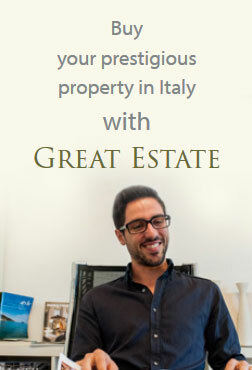 Great Estate works all around the world and gives a possibility to contact with various clients, from ordinary families to vip and it immediately makes me feel a part of well-established international company performed on all the markets. I am really proud to be a part of such an important group that opens huge horizons and even do not have any competitors. 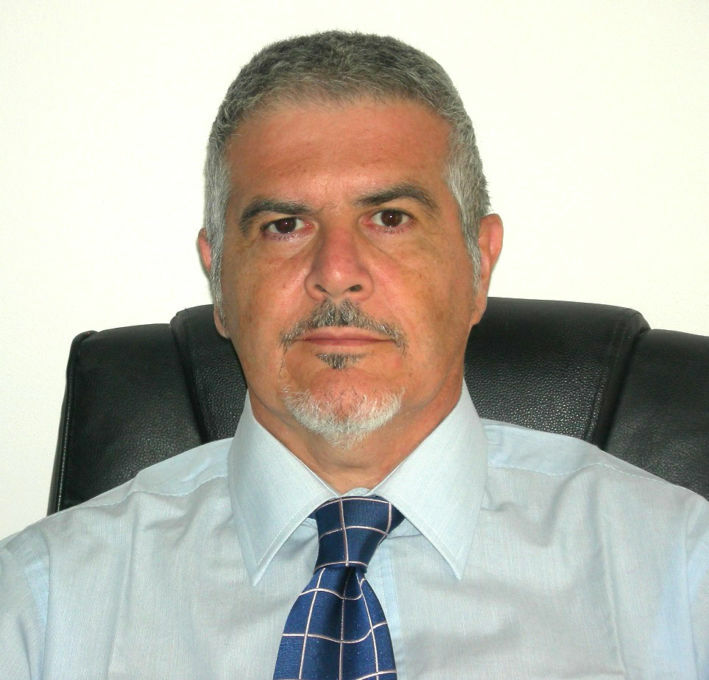 It is a great merit of such people like Managing Director Stefano Petri who has mindset and courage to be involved in this business every day and be well rewarded with the results and good fame. I am really grateful to Stefano for the opportunity given to me and I hope that we will achieve great results together. “What can you say to those who cannot sell a house in the area of Panicale? Since I am very satisfied with my first sale which was completed in a short period of time, I think that it was possible thanks to careful selection and timely offers suitable for clients. To those who cannot sell a house in this area I could say that they should not be discouraged or consider others because obviously it is because of the poor characteristics searched by clients in this area. The product by itself and the basis of the sale should always have compliance and desire to do everything to understand client’s needs, make him feel safely and give him all necessary care and attention. 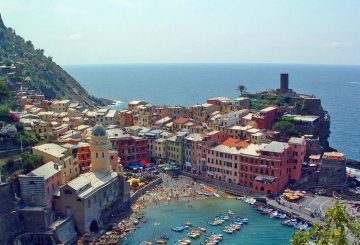 Buy a property in Liguria-How does the international market work in Liguria?